Taken in the Egyptian Red Sea. 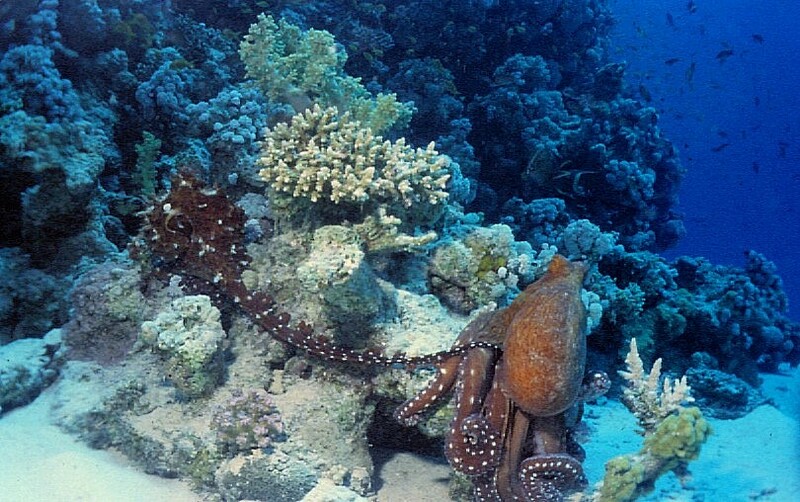 The octopus is solitary. Mating can be risky for the male: he is smaller than the female and risks being attacked. The female watches his body postures and skin pattern. Once accepted the male stretches out a modified arm towards the female - shown in our photo. The arm has grooves along which sperm passes to the female's mantle cavity.